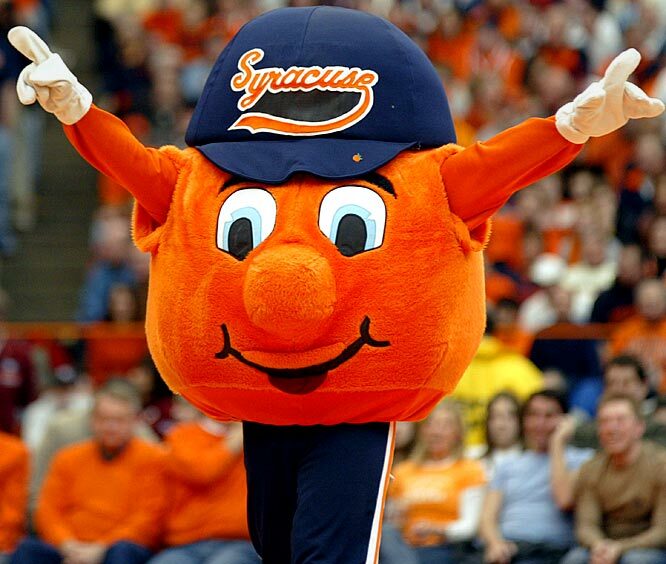 Syracuse University basketball fans are known for being very dedicated to their Orange. One fan recently went so far as to demand additional visitation with his children in the event that Syracuse makes the NCAA Tournament Finals. Michael (who did not disclose his last name), a father of two children, was in the process of negotiating his divorce settlement when he requested an unusual change to the proposed visitation schedule. 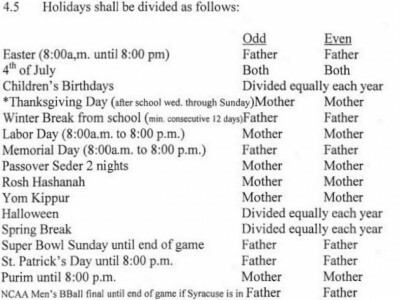 Michael sought to have additional visitation and parenting time with the children during the NCAA basketball tournament if the Syracuse Orange basketball team made the Elite Eight (the quarter-finals in the annual tournament). His wife’s attorney balked at the initial request but, eventually, the parties agreed that Michael would have additional visitation and parenting time if the Orange made the tournament finals. This case demonstrates one of the many benefits of settling a divorce as opposed to going to trial. A judge has great discretion in awarding custody and setting a visitation schedule but it is unlikely that any judge would address minutiae such as visitation in the event of a team appearing in the finals. In addition to being less costly (financially and emotionally), negotiating an agreement to settle a divorce allows the parties to determine a specific visitation arrangement conforming to the needs and desires of the parties and the children. Great Article About Parents Entrapping Each Other in Order to Gain an Advantage in Custody and Visitation Cases.